Hi everyone, I hope you're all having a great Summer so far! I have the latest Femme Fatale collection to share with you today. 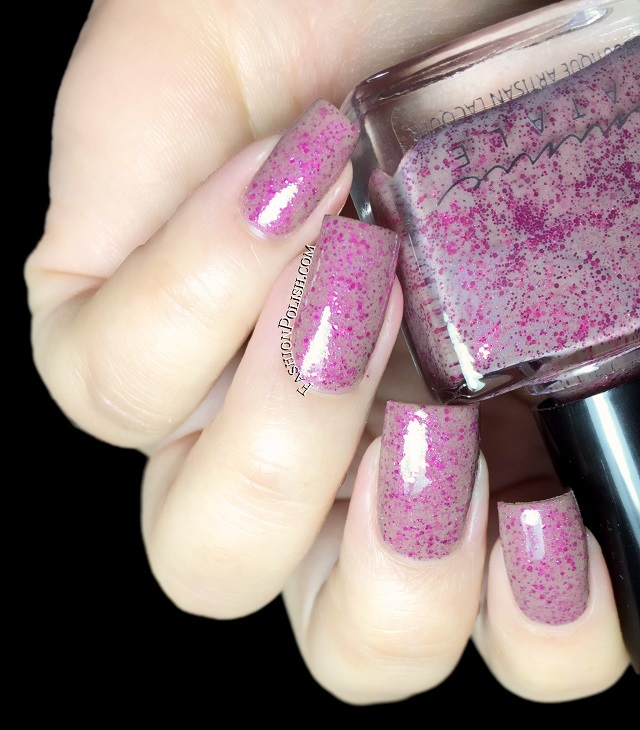 Inspired by the ‘A Mad Tea-Party’ chapter from Alice’s Adventures in Wonderland by Lewis Carroll, the collection consists of 8 complex mica and glitter blends. Formula was particularly nice on the entire collection. 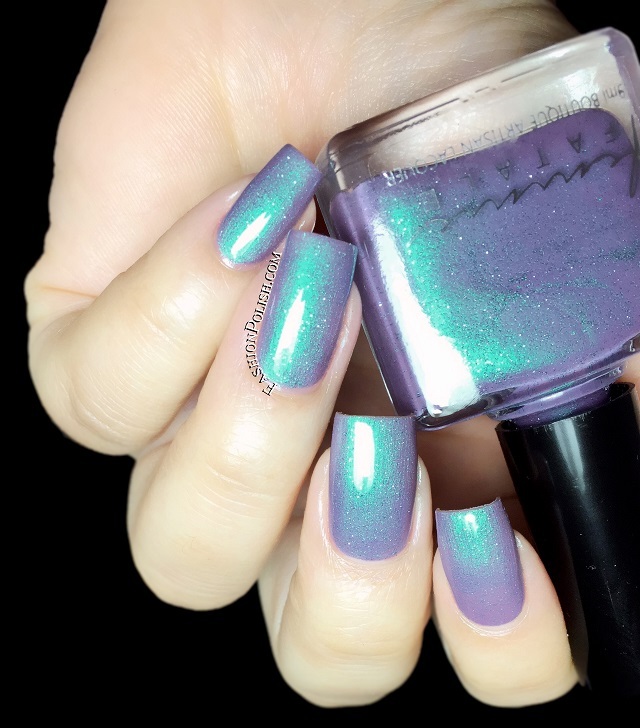 I used 2 coats plus topcoat in all of my swatches below. Always Tea-Time is a chocolate milk crelly packed with pink shimmers and fuchsia microglitters. 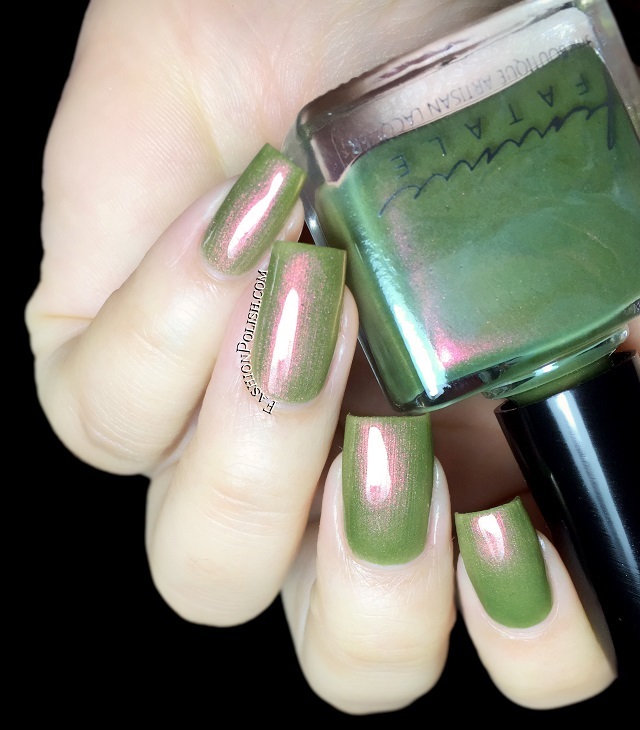 Infamous Riddle is a unique khaki-olive green with rich red shimmer flash. 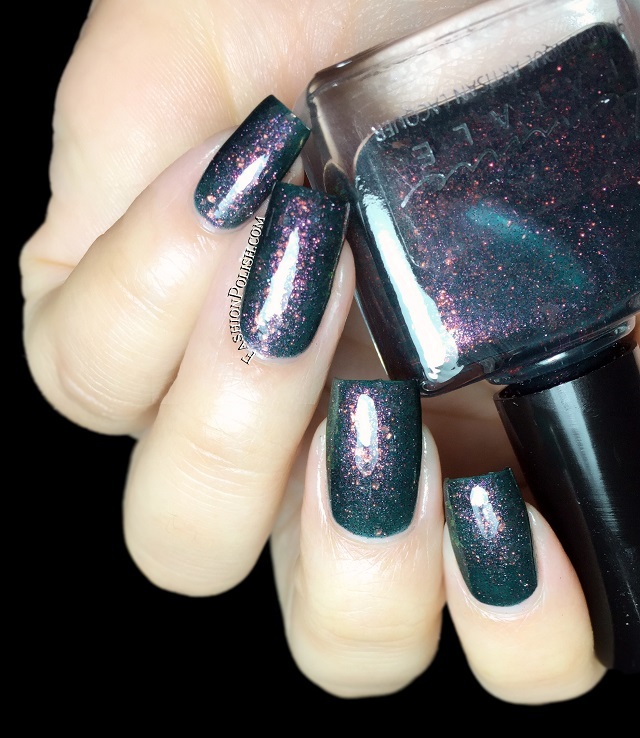 Mad as a Hatter is a gorgeous forest green jelly scattered with red microglitters, sparkles, and colour-shifting opalescent flakes. 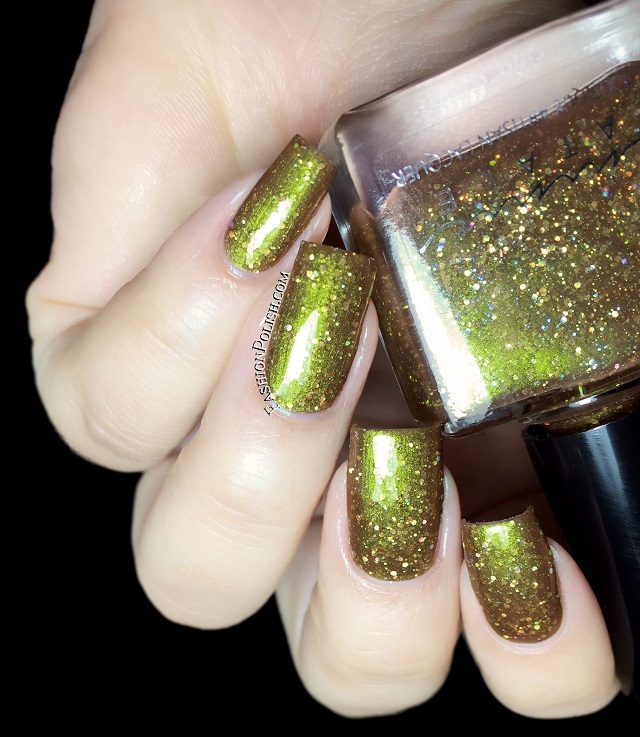 March Hare is a golden-brown base with strong green shimmer and golden holo microglitters. 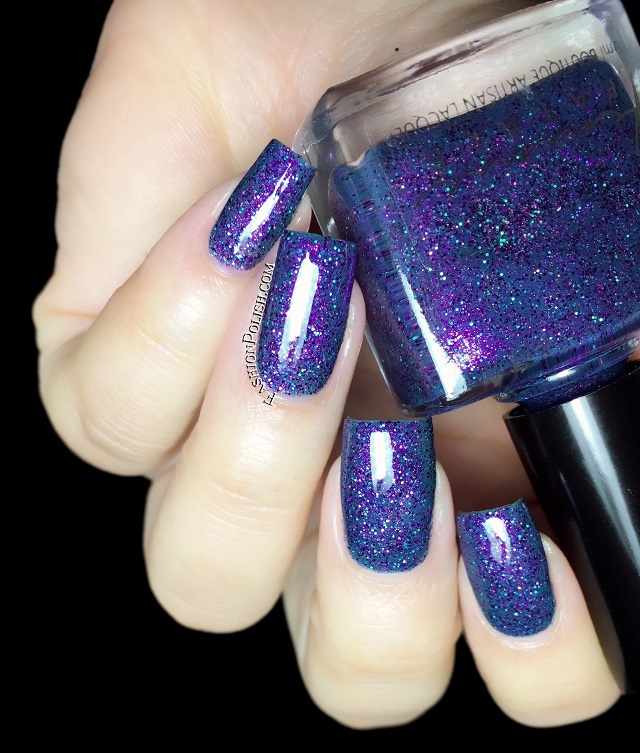 Twinkle, Twinkle is a soft teal crelly filled with a mix of purple and blue microglitters, violet shimmers and violet holo accents. 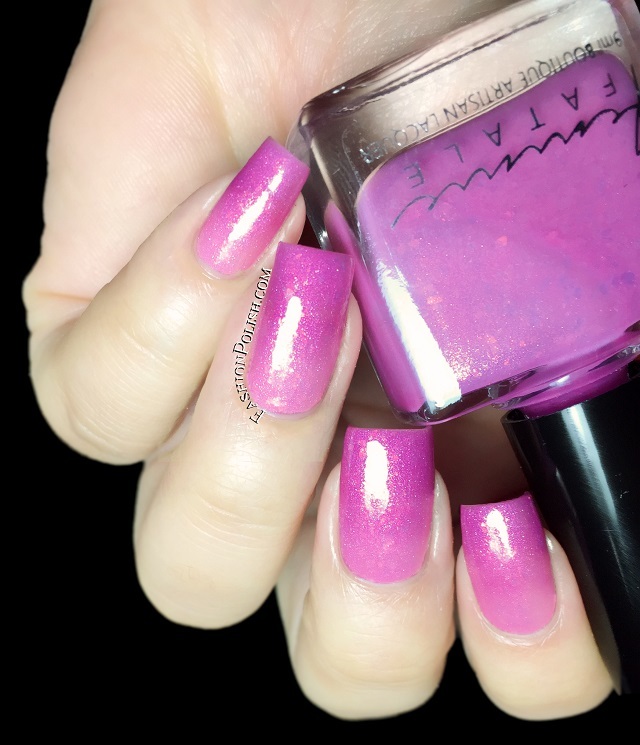 Two Days Wrong is a heat sensitive thermal that changes between a clear/soft pink (warm) to a rich magenta-purple (cold) accentuated with pink shimmers and red fire opalescent flakes. Up Above the World You Fly is a dusty mauve-purple with a blue shimmer flash and silver microglitters. Wonderland is a sky blue crelly filled with pink shimmers and chameleon flakes which shift pink/copper/gold/green. 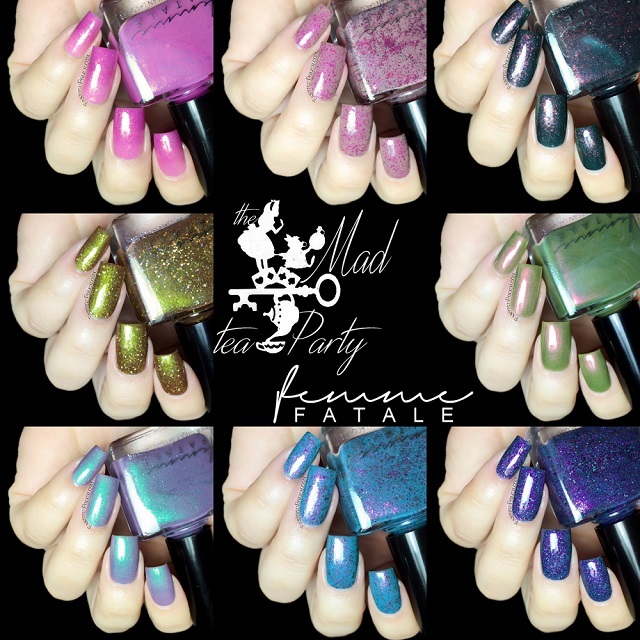 Femme Fatale The Mad Tea-Party Collection is available for pre-sale on Femme Fatale Cosmetics until August 5th. Individual shades vary from $8.50 to $11, full set retails for$73. So what do you think about this collection? Anything peaks your interest? My favorites : Mad as a Hatter, Twinkle Twinkle and Infamous Riddle.